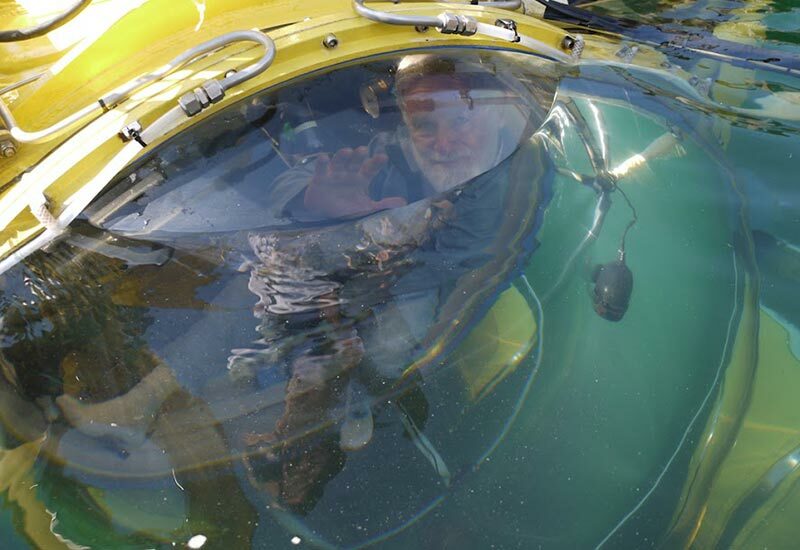 In June of 2011, OceanGate successfully performed four dives to the SS Governor, a 417-foot passenger liner at a depth of 240 feet in Admiralty Inlet about one mile from Port Townsend.. Diving to the SS Governor is considered very challenging due to the depth, currents, and the fact that she lies in the primary shipping lanes entering Puget Sound. The difficult dive conditions have left the Governor virtually unexplored over the last 90 years, except for highly trained mixed gas scuba divers. During this expedition, the OceanGate team successfully documented the current condition of the wreck using the latest sonar technology and video equipment. The team also found the wreck to be in an advanced state of decay, with many sections having collapsed to the sea floor. Much of the original steel hull plating had eroded or fallen away. Some of these loose pieces of the plating were viewed on the sea floor up to 30 feet from the wreck. Although the currents in this area created a challenge for diving, the swift flowing water washed away much of the sediment from the wreck and the sea floor to expose a rocky bottom. A benefit of this lack of sediment is much better water clarity and visibility, which provided for improved viewing conditions. During this expedition, the OceanGate team successfully performed four dives to the SS Governor. The team created eleven sonar scans of the aft section of the vessel, which will be combined to create a 3D model of this portion of the ship. Multiple 2D scans of the entire wreck and several hours of video also helped document the existence of artifacts, providing valuable data for future dives. Information gathered during these dives will help marine archaeologists detail the decay of the wreck and assist marine biologists with the assessment of the habitat created by this historic wreck and artificial reef. 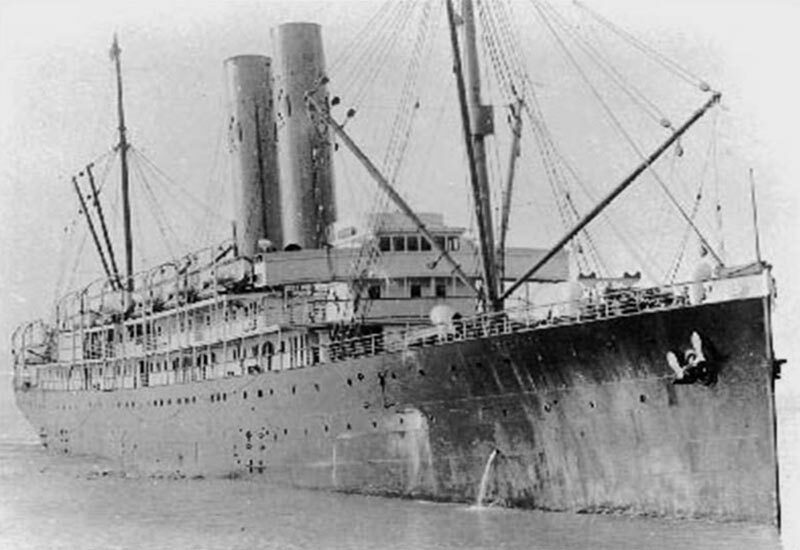 The SS Governor was a 417-foot long passenger liner built in 1907 in Camden, New Jersey. In the very early morning of Friday April 1, 1921, she collided with the SS West Hartland, departing Port Townsend for India. The West Hartland tore a 10-foot gash in the starboard hull of the Governor, and twenty minutes later she sank, taking eight lives with her. The deck plans lists her beam at 46 feet, draft 22 feet, and a maximum speed of 25 knots. She could accommodate 96 passengers in her first class staterooms, 286 in the first class berths, and her maximum capacity was 427 passengers. Today, the Governor rests at a depth of 240 feet in Admiralty Inlet about one mile from Port Townsend. Pete Hoffmann, Antipodes' builder, prepares for a dive to the SS Governor. 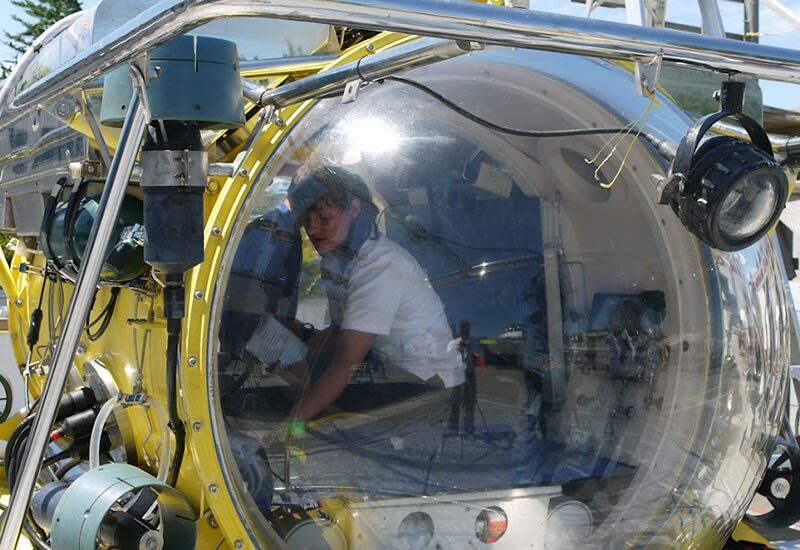 Submarine pilot Erika prepares Antipodes for launch. Circa 1906. Photo courtesy of Puget Sound Maritime Historical Society. 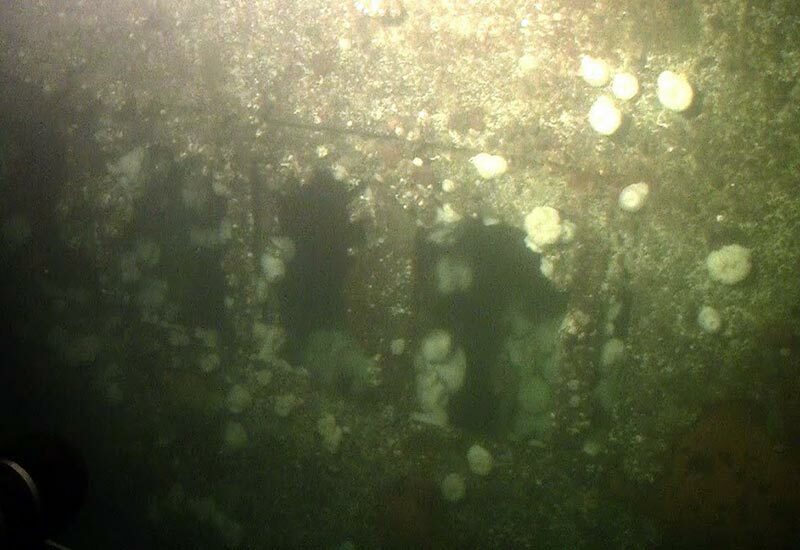 In one of the few remaining vertical section of the wreck, steel plating just aft of the impact area has fallen away to reveal the structural ribs of the hull.